Triss cannot bear to think that she is going to spend the rest of her life enslaved by the cruel white ferrets, King Agarno, Princess Kurda and Prince Bladd. So, with the help of her fellow prisoners, especially her close friends Welfo the hogmaid and Shogg the otter, Triss makes a run for it. This is a state of affairs that Princess Kurda, a cruel beast, cannot stand for and she sets of in pursuit. Her father also wants his daughter to look for a certain treasure which he hopes will help secure his position as king. Meanwhile, at the mountain of Salamandastron, three youngsters are setting off to seek their fortunes in the great outside world. Bescarum, a hare with an enormous appetite, and his two friends Sagaxus the badger and Kroova the sea otter, are sneaking away from the legendary mountain stronghold of the badger lords. Little do they know that a series of very dangerous adventures awaits them. In the abbey of Redwall all is well until something very unpleasant is discovered living in Mossflower woods. There is some fearsome creature in the woods which has to be tracked down and yet at the same time it is terribly dangerous. Triss, in her flight, meets up with Sagax and his friends. After many adventures this motley group of animals finds itself seeking refuge in Redwall Abbey. All the while Princess Kurda is following the escaped slaves, determined that they will not escape her. She also learns that the treasure she seeks may be in Mossflower woods. Now a great danger faces Redwall for Kurda has many foebeasts with her who would be happy to tear Redwall apart stone by stone. Luckily for the good creatures who live and seek shelter in the abbey, Redwall now has an unexpected new hero, one who is able and willing to wield the great sword of Martin the Warrior to fight against the forces of evil. This wonderful tale introduces a new set of characters who make one laugh out loud, feel a great loss when they fall in battle, and rejoice with when they triumph over their enemies. 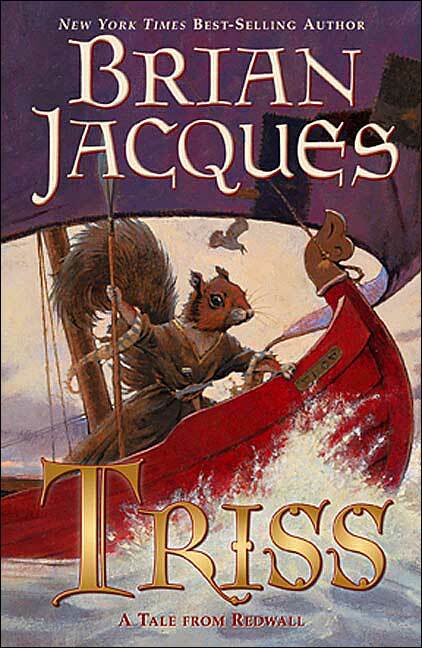 With a puzzle to solve and pieces of Redwall history to put together, this wonderful "Tale from Redwall" is sure to entertain and delight Redwall fans.